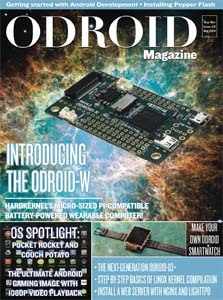 ODROID Magazine - October Issue Available Now! 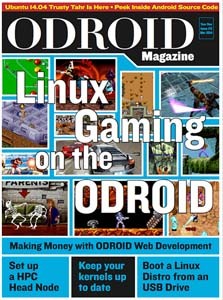 This month, we show off the new ODROID-XU3, walk through setting up your Xbox 360 controllers with RetroArch, compare the performance of the PPSSPP PlayStation Portable emulator between Linux and Android, get started with building a custom Android application, find out how to use I2C with an Arduino to connect with an ODROID-U3, and much more! 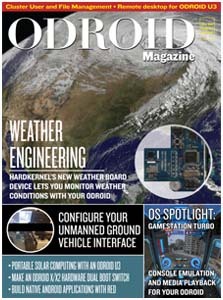 22 ODROID-XU3: The Fastest Computer Made by Hardkernel So Far! Please visit our booth and talk together. Expo Hours : The ARM TechCon Expo floor is open on Wednesday, October 1, from 11:00 am to 6:00 pm, and on Thursday, october 2, from 10:30 am to 5:30pm. 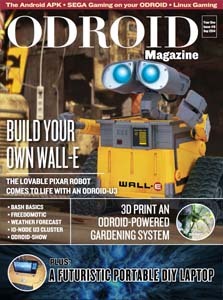 You can see and feel this demo on our booth ! 2 x 1080p monitors are connected to XU3 via HDMI and DisplayPort cables. Yes, we call it "dual-head". 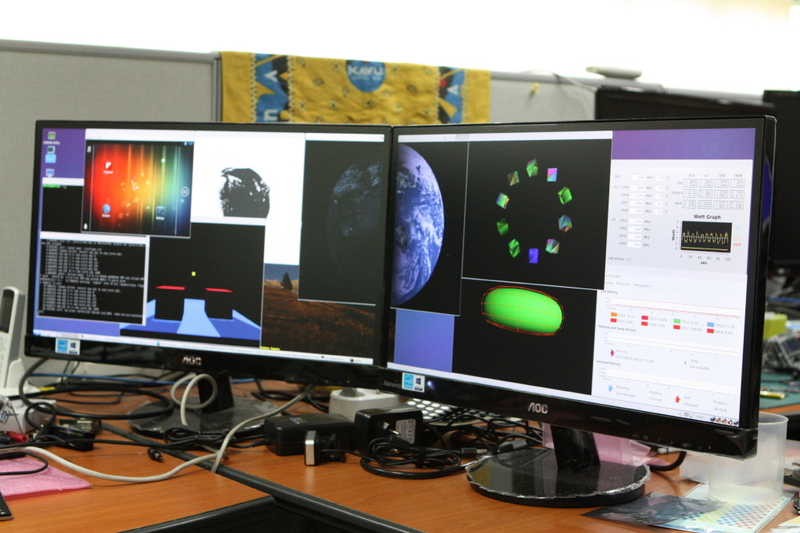 A few OpenGL ES 3.0 and OpenCL demos run in parallel on Ubuntu X11 desktop. 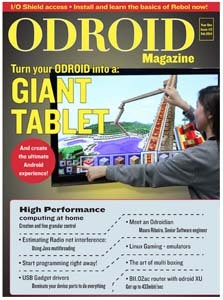 It also shows a running Android OS on a Cortex-A15 core by KVM. Nice virtualization example! 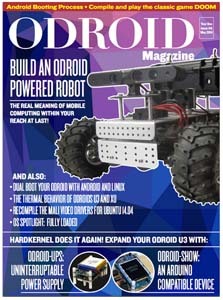 Find out the most latest ARM technology from ODROID Magazine, a free monthly PDF e-zine! - Weather Forecast on the Desktop: What Chance Is There to Catch Fish Next Weekend? - Search with Google BBS: What if Google Were Invented in the 1980��s? - Build Your Own Ubuntu From Scratch: Using Linaro��s RootFS To Compile Linux Like a Pro! - How to Setup a Minecraft Server: Creeeepers! 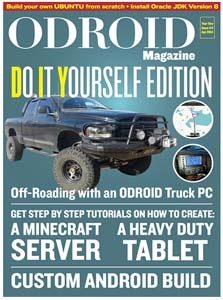 - How I Built a Truck PC with my ODROID: Nevermind the Products on the Market, Get the Most Bang for Your Buck! 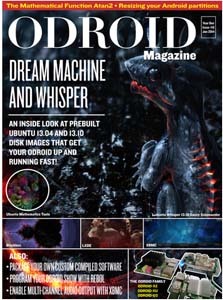 - Ubuntu 14.04 Trusty Tahr: Now Available for the ODROID Platform! 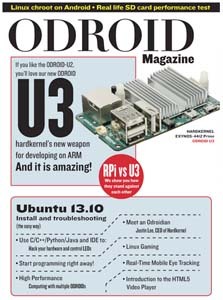 - ODROID-U3 vs. Raspberry Pi: Need More Bang for Your Buck? U3 Will Get You There!